When we walked into Champagne last Saturday night we had no idea of the world class dining experience that awaited us. We were invited to dinner by chef/owner Chef Olivier Burgos. Chef Burgos is the 8th restaurant owner of the "HIHO" building, the oldest high rise in Broadbeach. He has owned the restaurant for 5 years now. Did you know this historical building has always had a French restaurant on the ground floor? It held the name Champagne Brasserie for 17 years and recently Chef Burgos changed the name to CHAMPAGNE cafe-restaurant-bar. Champagne is divided into two sections offering two different dining experiences. 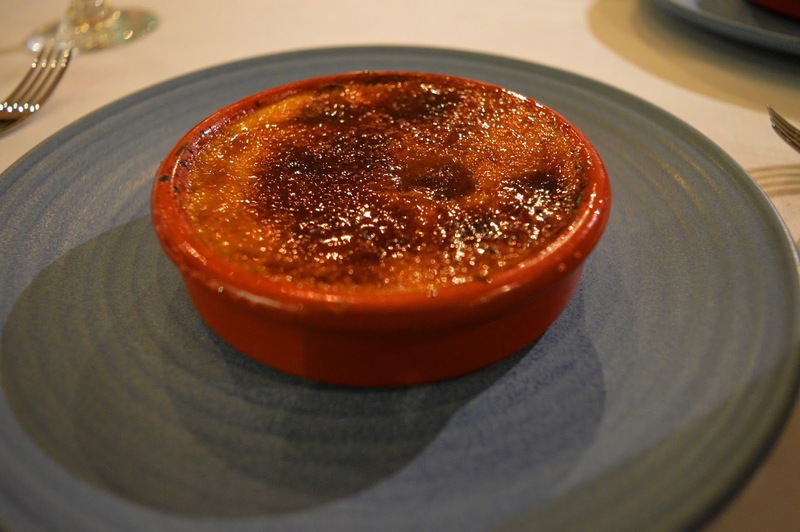 Chef Burgos says that both sections are "profoundly French". In the cafe-esq area you get a more bistro like dining experience. The decor is very stylish, colorful, and vibrant. The menu consists of things like braised lamb shoulder for two, crispy sandwich baguette, onion soup, and quiche lorraine, etc. The second section is a more classic, formal French dining experience. It is equipped with crisp white table clothes, gleaming silverware, and sparkling crystal glasses. This is the section we sat in for dinner. It had a soft, romantic atmosphere. As soon as we were shown to our table we knew we were in for a superb dining experience. We initially started perusing the menu but then the manager came to our table and informed us that the chef had our dinner sorted for us. This new turn of events definitely excited us! We were more than happy to let the chef choose our dinner for us, in fact we prefer it! The chef knows best. 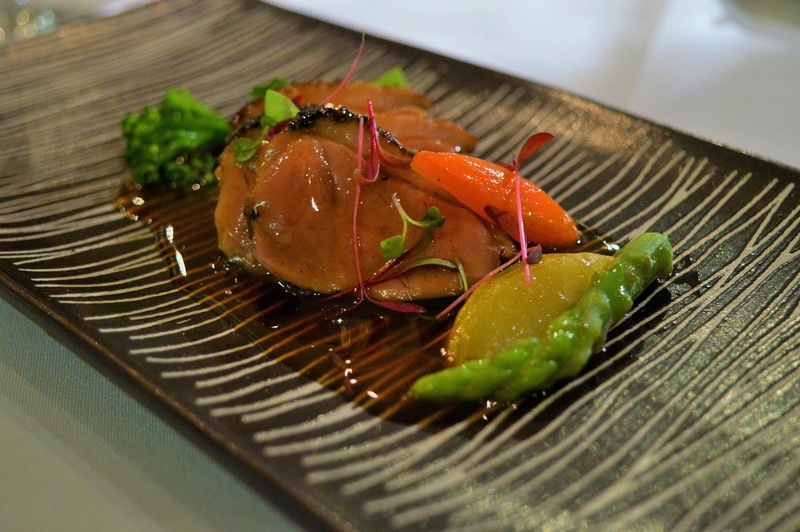 We ate from Champagne's Degustation menu. Delicous! 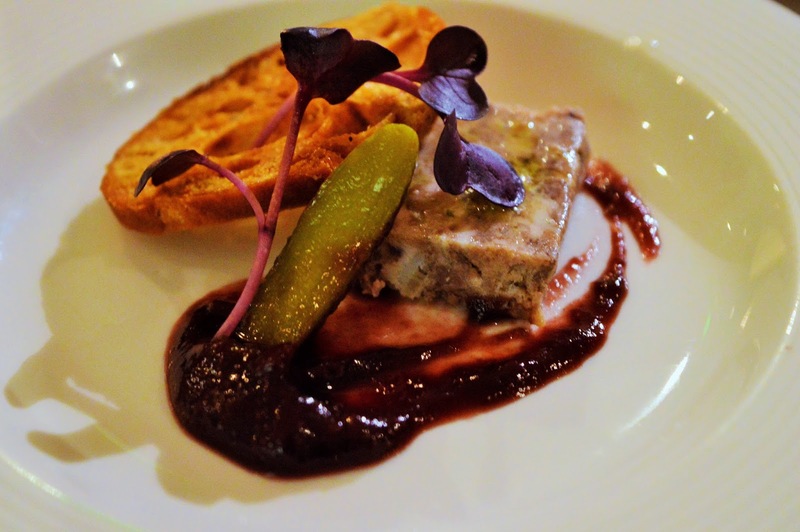 The savoury venison terrine was paired beautifully with the sweet onion and red wine compote. The slice of crusty bread was also a nice touch. It added a wonderful crunch to the dish. This is without a doubt one of our favorite dishes of the night. The prawns were crispy, and plump. Very fresh! The avocado added a nice creamy texture to the dish and the mango chutney added a hint of sweetness. This dish is divine! Very creamy texture with chunks of delicious, fresh spanner crab. I couldn't get enough of this dish. We also appreciated the elegant presentation. Perfectly prepared seared scallops! 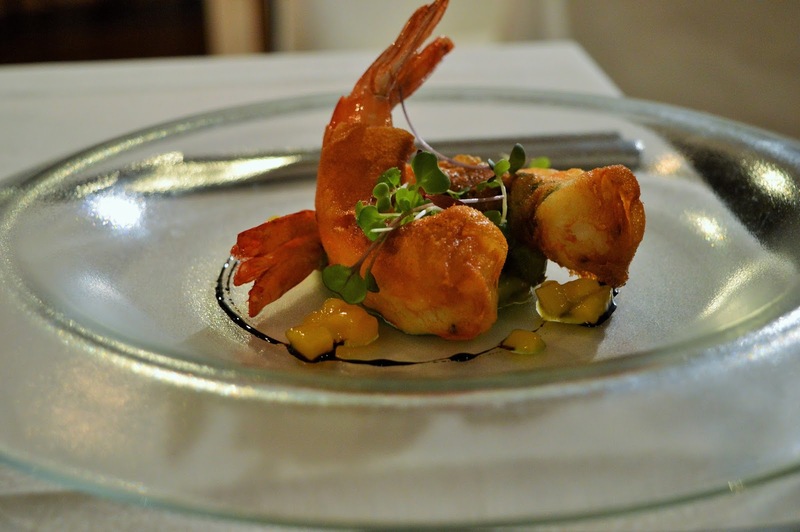 The variety of flavours presented in this dish were very complimenting to one another. This dish was sweet/savoury bliss! The duck was so tender it cut like butter. The presentation was very lovely, just the right amount of colour. Mouthwatering! Some of the best pork we have ever had the pleasure of devouring! The vinegar braised cabbage was the perfect accompaniment to cut through the fatty pork. The beef cheeks were so tender they fell apart at the fork. There was something very comforting about this dish. The rich red wine sauce added subtle sweetness. Creme Brulee! A great end to our French dining experience. Crunchy coating on the outside, smooth-creamy goodness on the inside. Whether you are looking for somewhere to grab a casual bite to eat....or a great place to wine & dine that special someone we highly recommend Champagne in Broadbeach. Champagne is open for breakfast, lunch, and dinner! *AmeriAus was the guest of Chef Olivier Burgos. All opinions expressed are our own.